Thank God for his goodness, kindness and His sympathy for His people, especially for the lost. 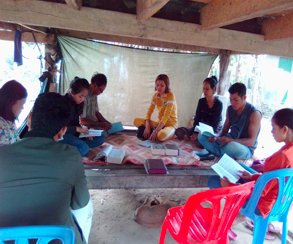 This month, several villagers attended worship with us. I was really happy to see them continue to come to our church during the last five weeks. “They were continually devoting themselves to the apostles’ teaching and fellowship, to the breaking of bread and to prayer…praising God and having favor with all the people. And the Lord was adding to their number day by day those who were being saved” (Acts 2:42, 47). Please remember to pray for our church to faithful and to please God.